This is a street near my home. I live in a (obviously) rural area. 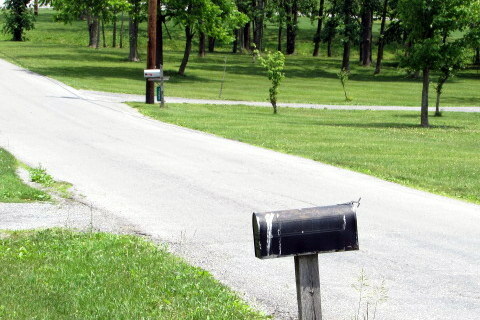 You see the near mailbox from the back side, making the evidence of the bird traffic even more prominent. The crossing lane is actually a personal driveway. In the distance, through the trees, you can see the street after a sharp turn coming back across the scene.